I know numbers aren't everything but as a blogger with various different social media accounts it's nice to be able to see at a glance how you're progressing growth wise throughout the year. At the beginning of 2015 I set up a little spreadsheet for myself to monitor my growth and when I gave it a little overhaul for this year I thought why not make it available as a free download so other bloggers can also make use of it if they wish. I'm increasingly starting to use spreadsheets to help me keep track of things like samples, but when it comes to the follower tracker I've popped in some formulas to automatically work out figures like total followers across all platforms and the number of followers gained. I'm a bit of a spreadsheet geek after completing a qualification in them back at college and it's actually come in useful occasionally! 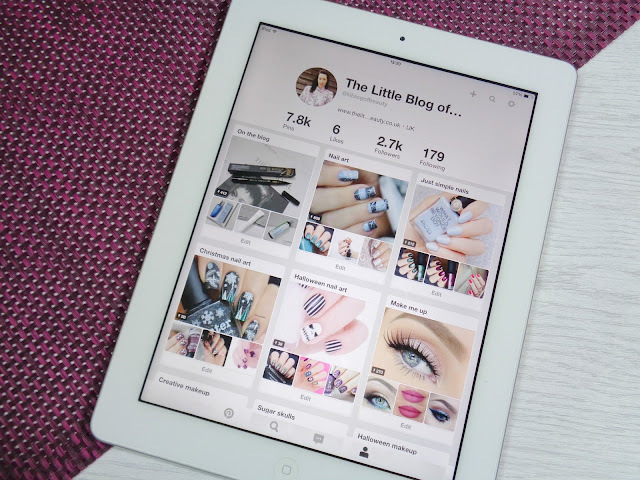 I've tried to add all of the different social media accounts a blogger might have but I might have missed off any less popular ones. If I have missed any I can add them on. If you don't use a particular social media platform all you need to do is pop a zero in for that one each month. The first column is for your figures on each platform at the start of the year, so how many followers you had on each platform on 31st Dec/1st Jan. I should have made this available right at the beginning of the year as it's likely you might not know exactly how many followers you had on 1st January, but for this year you can make a rough guess of how many you had. You probably also don't know how many followers you had at the end of January but for this year you can pop zeros in for January and when you complete February's figures that will obviously include January's growth. At the bottom of this column the pink cell show the total followers you had across all platforms at the start of the year. At the end of each month you then pop your new follower figures in the corresponding column. At the bottom of that column you're shown how many followers you have in total across all platforms after that month. The figure underneath shows you how many followers you've gained during that month. Ignore the negative under the month you haven't yet entered figures for, that's just because the formula in that cell only has half the figures it needs. 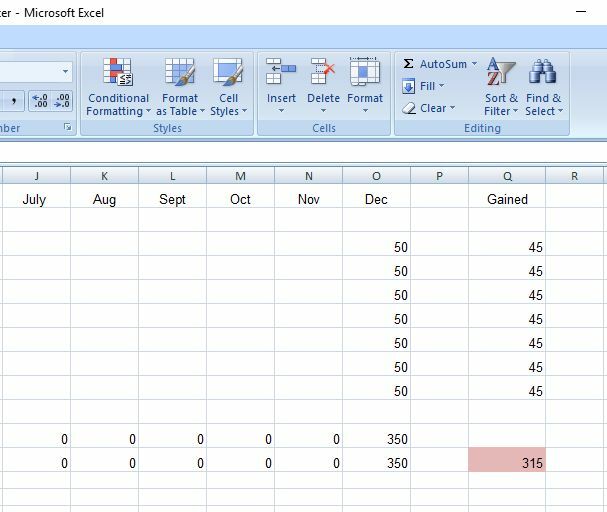 When you complete your figures for the end of December those will be your end of year figures and the figures you'll pop in the 'Start of year' column for the next years spreadsheet. The 'Gained' column will deduct the number of followers on each platform at the beginning of the year from the end of year figure and show you how many followers you've gained on each platform through that year. The pink cell will show you the total number of followers you've gained across all platforms that year. 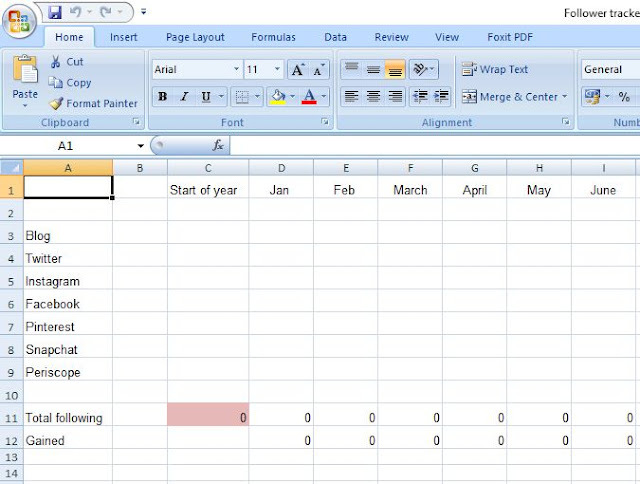 At the end of the year you can copy the spreadsheet into a new tab on Excel. 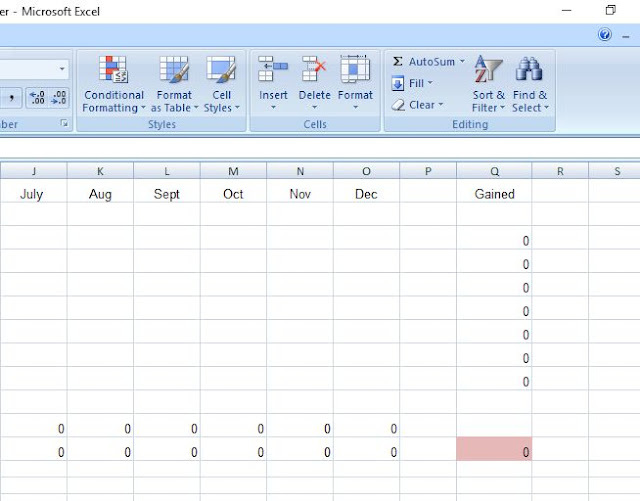 Just delete out all the figures you entered through the year and start again. 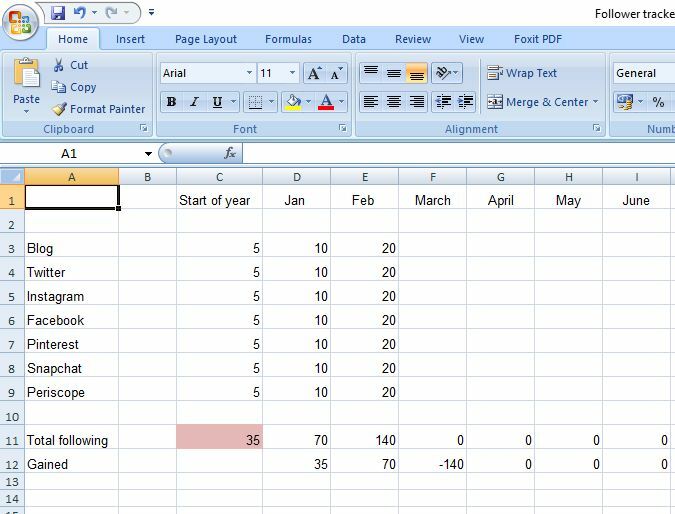 Only delete any figures you've actually entered or you might delete some of the formulas. If you're not quite sure how to do this when the time comes just let me know and I can send you some instructions. If you'd like to download the follower tracker just click here. I'll also be creating a page where you can access the download that you'll be able to find on my menu bar. Please do leave me a comment to let me know if you have downloaded it and if you have any questions just ask. Great minds think alike because I definitely have an almost exact matching spreadsheet system for myself. My focus is mostly on creating content and engaging with people on social media, but it is nice to keep track of things on a monthly basis, just to see how you're evolving. Great post! Oh wow this is brilliant thanks soo much for sharing this!